While I'd been to Sagada many times in the past, it was always during the summertime, when the hoard of tourists from Manila and everywhere ascend upon Sagada. The village gets more animated and vibrant, and a bit crowded specially on bottlenecks like the the caves, the narrow pathways on the rice fields towards the small waterfall (Bokong Falls), etc. But that's the beaten tourist path - it's expected. Sagada is immensely more than what's written on Lonely Planet. The influx of tourists remains a positive experience by far. While I've met a few residents who've been touristed-out, that's never happened to me...and I hope it never does. I guess I've always regarded myself anyway as a perennial tourist in every place I go to - we're cut from the same cloth. As a tourist, I never lose sight of the people-aspect in enhancing the beauty of a place. No matter how beautiful the place is to start with, or the delectation I get from its culinary offering, the people-connection remains a catalyst to lingering thoughts I'll keep long after I've left the place. 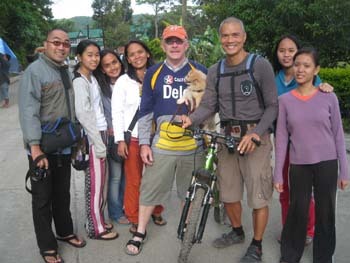 It's that same paradigm I keep whenever I come across the tourists that come to Sagada. I see myself in them...awed by the place, touched by its permeating tranquility, and open to interaction (whenever the vibe is positive). I take delight in small conversations, giving them a few tips on how to enjoy the remaining time they have, maybe join them for coffee, or join them on a hike. Through their stories I get a glimpse of what's beyond the borders of Sagada - their travels elsewhere, its highlights, interesting encounters, the uniqueness of the country they come from...it's essentially endless. The good vibe I exude is really just an extension of what has been accorded to me in the many places I'd been to. I'd been a recipient of so many. I'm just reciprocating, not to mention of course that I genuinely appreciate time spent with them. In my travels, I'd been a beneficiary of unsolicited little gestures of kindness from complete strangers who want nothing in return. Classic example I can't forget? I was walking by myself under the scorching heat of the Nevada desert when someone I didn't know yelled to me, "Catch!". It was ice-cold beer. Is that manna from heaven or what? Yeah, good things beget good things. 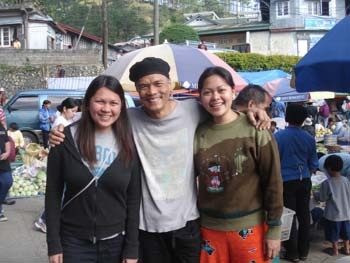 (Apr 11, 2007) Thank you for making our Sagada experience really worthwhile. Already in love with the place, culture, people, et al. Will definitely be coming back. Take it easy. (Feb 23, 2007) I miss Sagada. The peacefulness and tranquility are unmatchable. I often dream of your excellent choice of surviving the rural jungle high in the mountains. 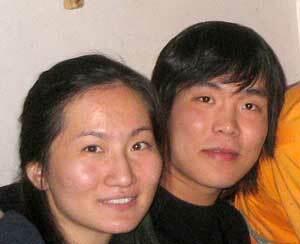 I remember our dinner at your home when you baked Aklay's bread for the first time, and the numerous evenings philosophying with Aklay. 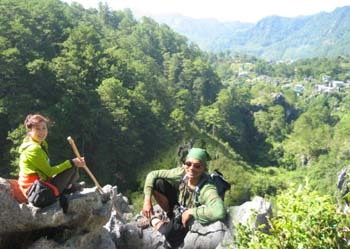 It is a matter of time and opportunity to once again enjoying the beauties of Sagada. Life is long and full of surprises. 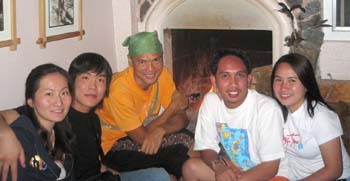 (Feb 13, 2007) We've got many happy memories of Sagada and you play a major part in them. All the best, see you next time! 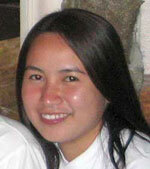 (6 Feb 2007) I finally did tear myself away from the cold winds and warm smiles of Sagada. Though I�m not sure I remember the last time I had such a hard time leaving a place. As much beauty as I�ve seen in the Philippines, I maintained that I could never live here. Something about your sweet little town though, really made me wonder. Thank you again for adding so much to my experience there. (Oct 14, 2006) Hello! Do you do it without a change cheerfully? In Sagada, thank you very much for a pleasant time. Wonderful Echo Valley tour. When you comes to Japan, I contact you again! In addition, I look forward to can meet. (Oct 12, 2006) Your website is interesting. Are you familiar with the song �this charming man� by the Smiths? A band called �Stars� had a remake of this song. I think it fits you. :o) Part of its lyrics goes-�Punctured bicycles, on a hillside desolate..." I wish we could also explore and experience a number of places and things that we have never done before just like you did. 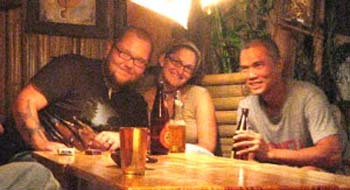 (Oct 10, 2006) we really enjoyed our stay there at sagada. monday 1 pm na nga kami umuwi ng baguio. you're right that 1 day and 1 night is not enough - so we stayed there 2 more nights. :) thanks also for the nice coffee at your place! God bless you!!! 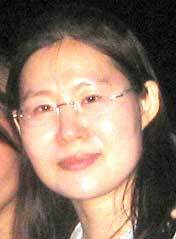 (Oct 8, 2006) I received the fireplace picture. I'll have that picture forever and I'll remember that day's our meeting. I can remember your word. On the trip, highlight is meeting new friends (right?). I agree that. So I was happy to meet new friends like you in Sagada. It seems like dream when we talked about many things in front of fire place. Even if it was very short time. But I think it's enough to be friend. (Oct 7, 2006) I'm missing the taste of yogurt at Yogurt House. Thank you for your kindness in Sagada.